Novel by K R Meera. 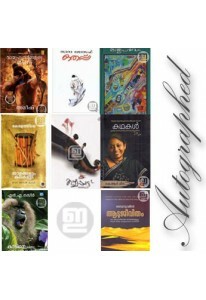 ‘Sooryane Aninja Oru Sthree’ tells the gripping ta..
Collection of stories by K R Meera. ‘Bhagavante Maranam’ has stories i..
Memoirs by K R Meera. ‘Ente Jeevithathile Chilar’ is brilliantly ar..